A statement on Saturday by Bill Kennedy MBE, Chairman and Clerk of the Course, said, “Given the conditions on the course and the weather today, due consideration has taken place by the stewards officiating and the Clerk of the Course, in addition to senior competitors. A decision has been made in the interest of safety to abandon this meeting. Until Saturday, the Club had a great and jam-packed Bike Week. Bill Kennedy MBE continued, “Friday went relatively smoothly and the two races were the closest I’ve ever seen at Armoy. We also had a very good Bike Week with a very well attended programme of events and the village was just buzzing every evening. “Saturday began with a serious non-racing event which involved Paramedic Allister McSorley. He was airlifted by the Northern Ireland Air Ambulance to hospital and as I understand it, his injuries are recoverable and not life threatening. We wish Allister a very speedy recovery and my thoughts are with Doctor Fred and his whole family as well as his colleagues in the MCUI team. “After that the weather began to seriously deteriorate. “The Armoy Road Races are a year long undertaking and there is an awful lot of organisation, so on behalf of the Club, I’d like to thank the members, officials, marshals and the many volunteers who played a vital part in the last year. “Saturday’s racing was not meant to be and to say I’m disappointed, particularly given it was our 10th anniversary, is an understatement. That said it was the only decision that could have been made on Saturday. Safety is paramount and my number one concern when it comes to road racing. It was a decision not taken lightly and in consultation with the stewards and senior road racers. 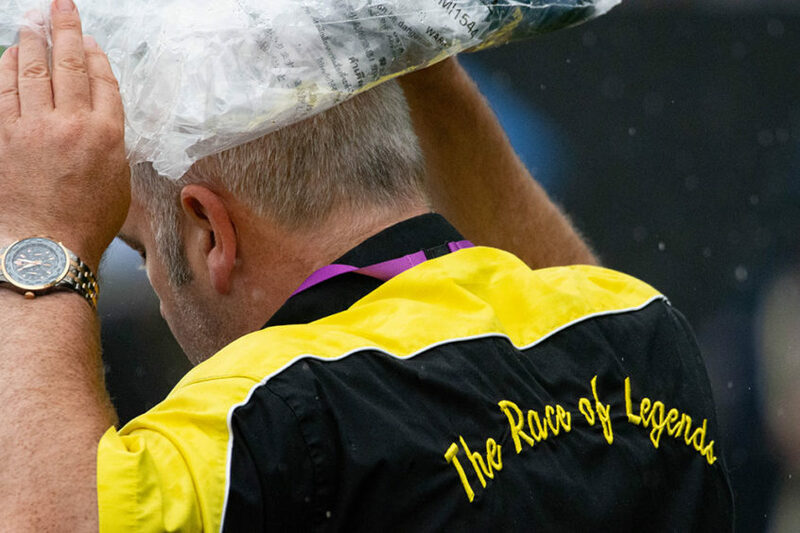 “Given the massive thunderstorm accompanied by lightning that arrived in Armoy on Saturday afternoon, I was only too glad that most folk were either well on their way home by that stage or tucked up dry somewhere. “I can only thank those for the many kind words, mainly via social media, but I’ve had many calls and my colleagues have also spoken with many of our sponsors. The support from our key sponsors, has been just amazing. To our main sponsor Bayview Hotel and many race sponsors, First4Printing, Mermaid Club, Armoy Homes, Molly’s Restaurant and Bar, Fay Stewart, Roadside Kia, Torquetronix, JW Hickinson & Co, Diamond Bar, Clyde Shanks, Bathshack, Michelin Tyre PLC, Park Electrical Services and Armoy Construction, I’d like to say a sincere thank you to each and every one. “We’ve had others help, those who sponsor a bale or take an advertisement in the programme and the likes of CP Hire who kindly supported us more recently. This is in addition to the Causeway Coast and Glens Borough Council and Tourism Ireland. I’d also like to thank the spectators and public too – thank you all!